It was a pretty quiet weekend for me in terms of birding due to spending most of my time facilitating the move of my 1961 Reliant Regal from North Wales to Swansea. On Sunday though I couldn't resist a trip out as news was circulating about a couple of quality birds that had turned up at Sandy Water Park near Llanelli. The first was a species that I have tried unsuccessfully to see a number of times in the past, most recently during the previous morning when another individual had been reported at Penclawdd on the high tide. Fortunately this one was sticking around for much longer and after a brief scan of the water in front of the Sandpiper pub I was on to a cracking first winter Little Gull. 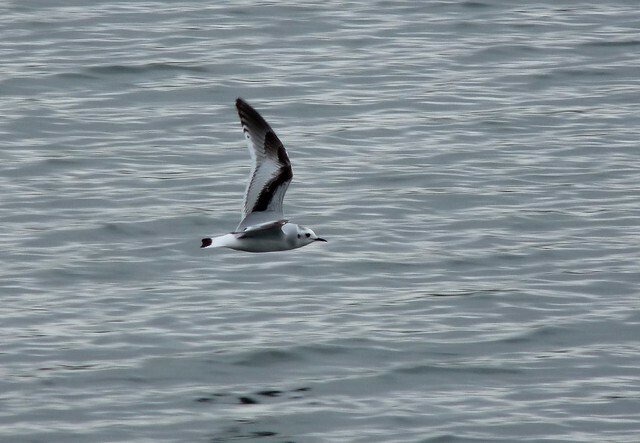 The Little Gull never stopped flying during our entire visit, behaving very much like a Tern at times with swooping dives and brief periods of almost stationary flight. It was a very entertaining display. Amazingly I even managed to get an in-flight photo as you can see above. It seems that my camera can perform against fast moving targets occasionally, even if I did have to bin a good number to get this one gem. With my first lifer of the day under my belt I didn't have to look far to find the second. 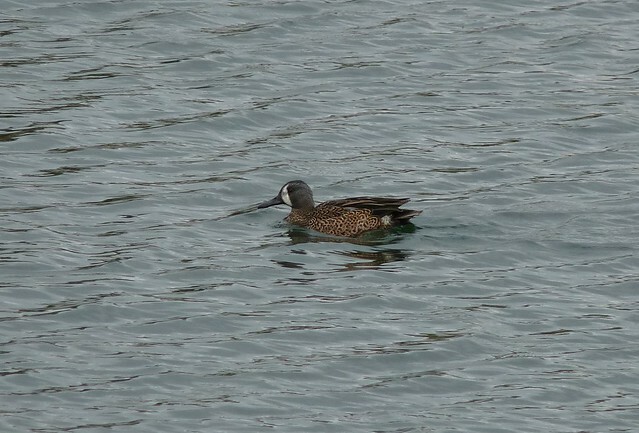 Swimming at times right underneath the flight path of the Little Gull was this Blue Winged Teal. After walking quickly around the lake a couple of times only to find that the bird was always on the opposite side I settled on a spot and waited for it to come to me. I didn't have to wait long before it swam slowly past giving great views. I always expected to see a Green Winged Teal first but I'm certainly not going to complain that its blue cousin won the race. They would be two lifers for me too Adam.